“Introduction to Gaelic Games will focus on classes up to and including 4th class. Thereafter the school & club is encouraged to partner in ensuring all classes receive some form of assistance. The program is based around giving children an active start to Gaelic Games in a fun & safe environment. As well as skill specific activities children will engage in games and fundamental activities to aid their physical development. Wexford GAA coaches along with Primary school teachers will ensure children are given a active start in encouraging Gaelic Games. Wexford GAA also have workshops for teachers to aid in planning PE activities through the means of Gaelic Games. Club/School Link’ promotes and supports the coming together of our clubs and schools to provide weekly coaching and support in the means of supporting our games prosper in the local community. 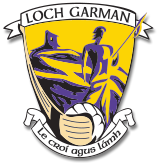 Wexford GAA are grateful for the fantastic support our schools show for Gaelic Games. For information on Club School Links contact a member of our Games Development team. 4. Outline the club’s work at underage as well as the Go Games Programme, which promotes participation for all children. 9. Liaise with the County Games Manager and the school to keep up to date with school initiatives including the GAA Céim ar Aghaidh Education Resource, GAA Fun Do Coaching Pack, and the Schools Coaching programme. 11. Host schools Go-Games blitzes at the club pitch and hold a follow up event on a Saturday or Sunday morning. 12. Build on the new partnership; both the club and school could link together on new projects and schemes that will encourage children to play and stay with the GAA. Wexford GAA staff provide a leadership program for TY & LCA classes in post primary schools. This course focuses on providing interested students and opportunity to practice their coaching under the guidance of experienced GAA coaches. GDA’s and the coaching also offer coaching support to schools through the means of Super Games Centres, skill sessions & athlete development sessions.